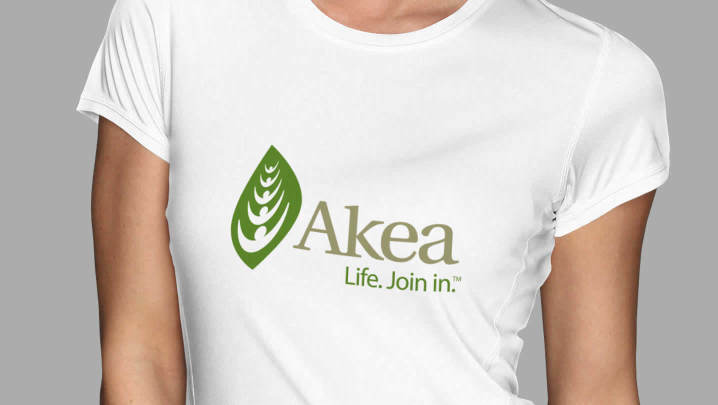 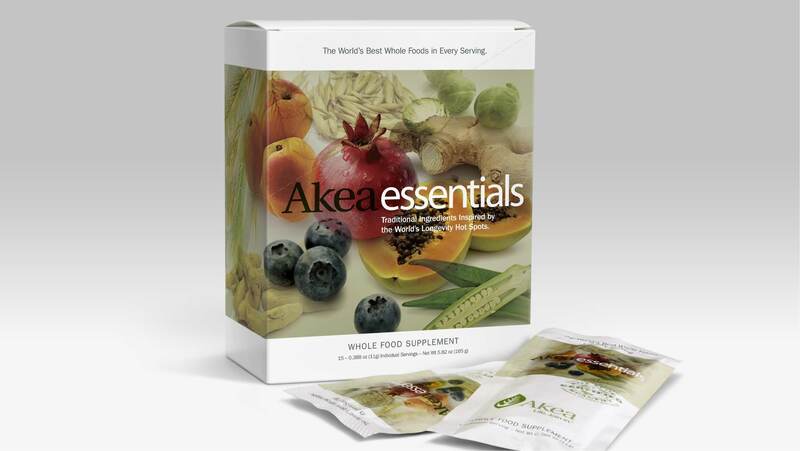 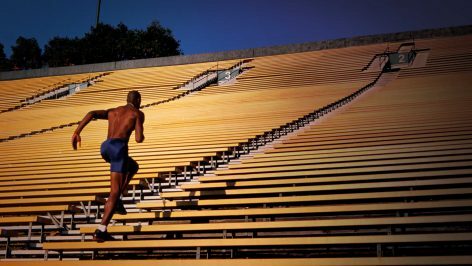 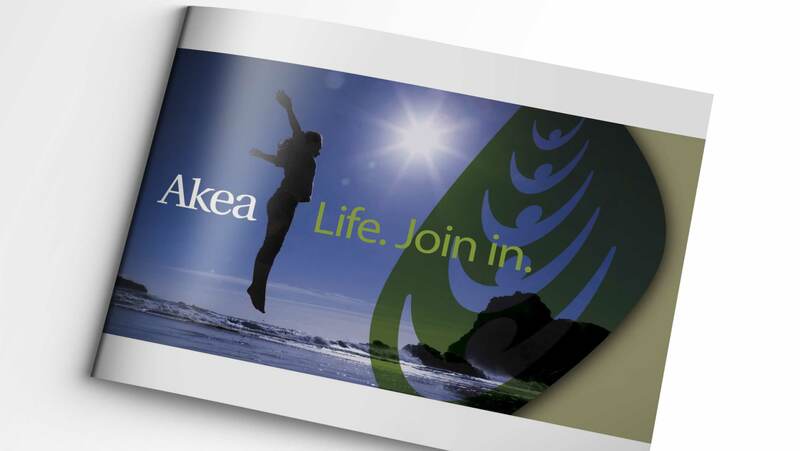 Akea, a nutrition and whole foods manufacturer, introduced a foundational supplement based on the unique nutritional profiles of the world’s healthiest cultures. 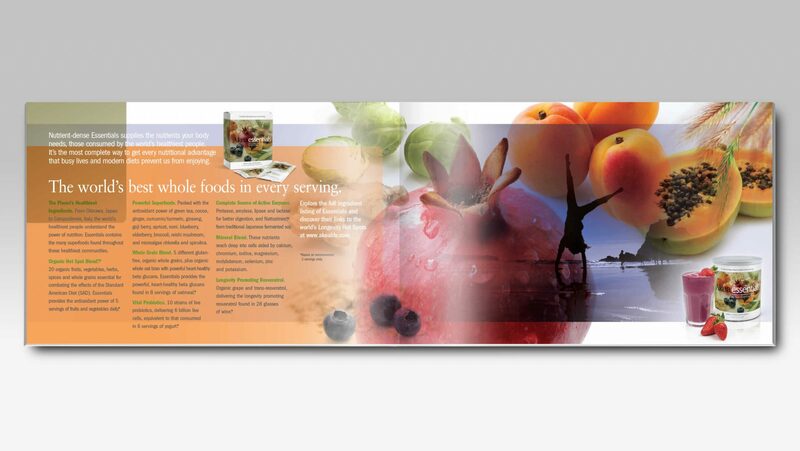 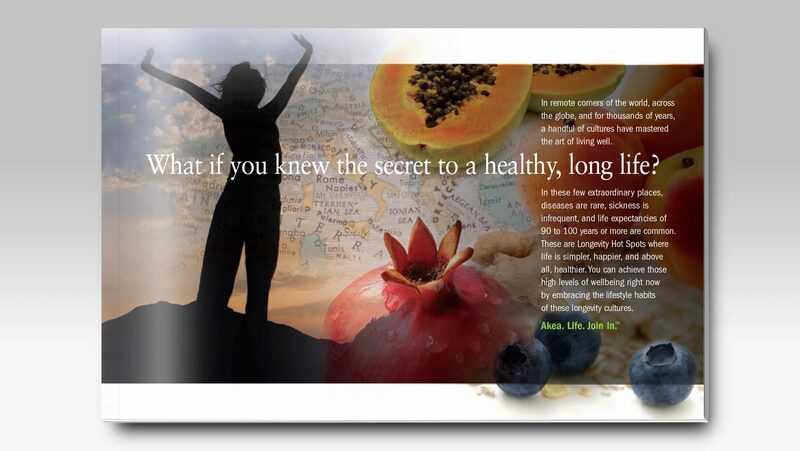 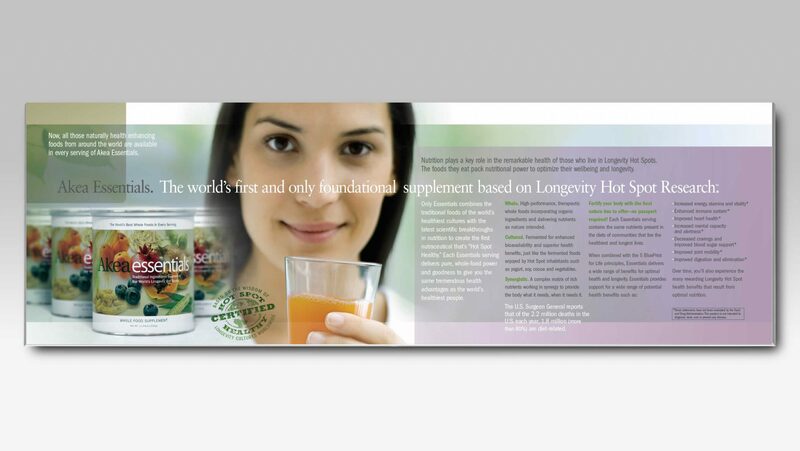 This product brochure introduced the company’s whole food supplement which contains ingredients based on Longevity Hot Spot research. 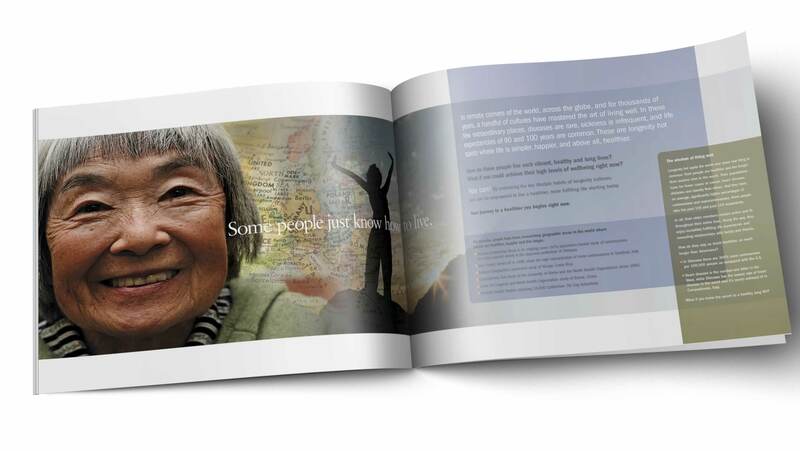 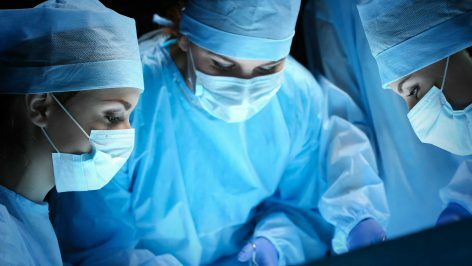 This research included analysis of a number of cultures from around the world that have mastered the art of living well—where life expectancies are 90 to 100 years, diseases are uncommon, and sickness is infrequent. 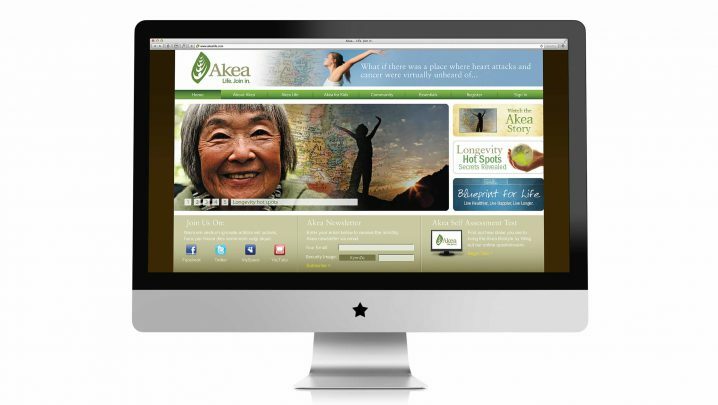 Summation assisted Akea in developing an online wellness community with tips for healthy living including recipes, exercise, and nutritional forums. 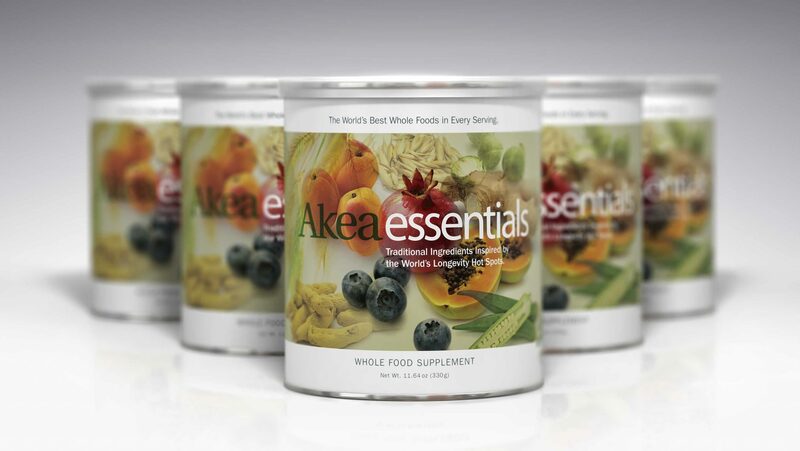 This packaging was developed for the company’s organic, plant-based nutritional supplement. 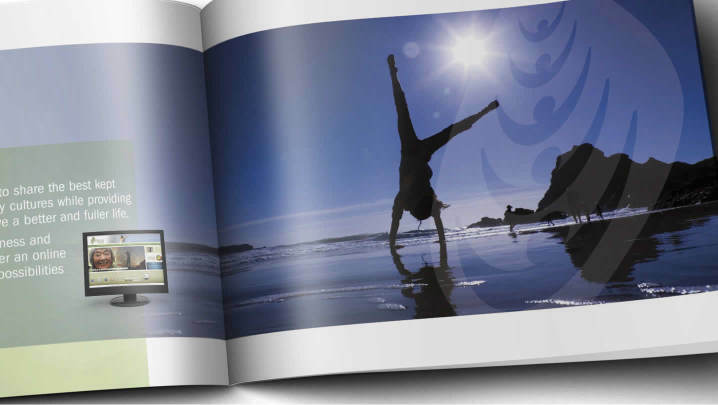 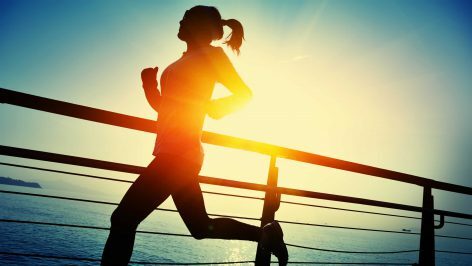 This print collateral, promoting the ever-growing online wellness community, used imagery reflecting a healthy and active lifestyle to convey its messaging. 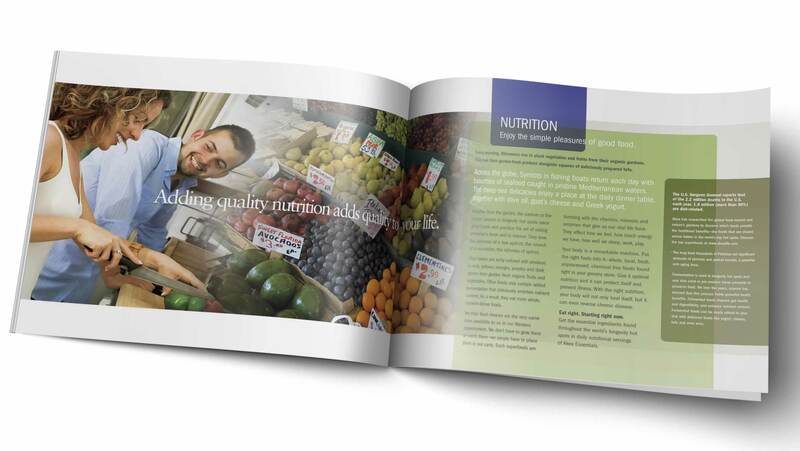 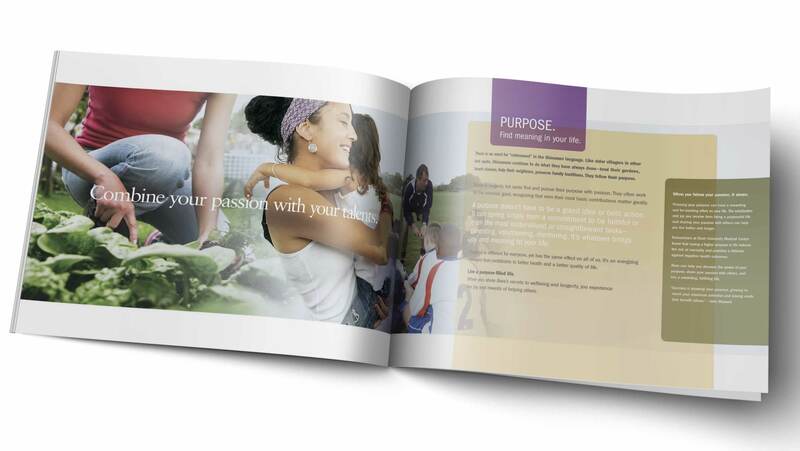 Serving both as an overview and a recruitment tool, this brochure was multifunctional. 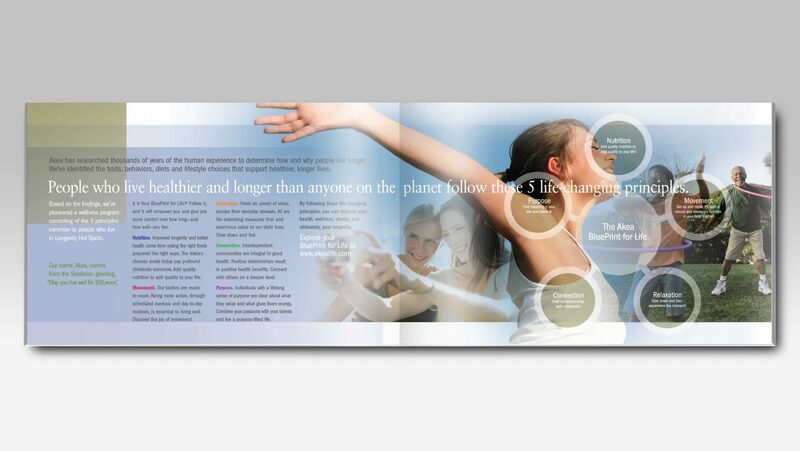 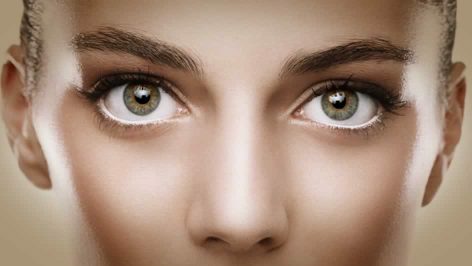 Summation provided logo design and tagline development. 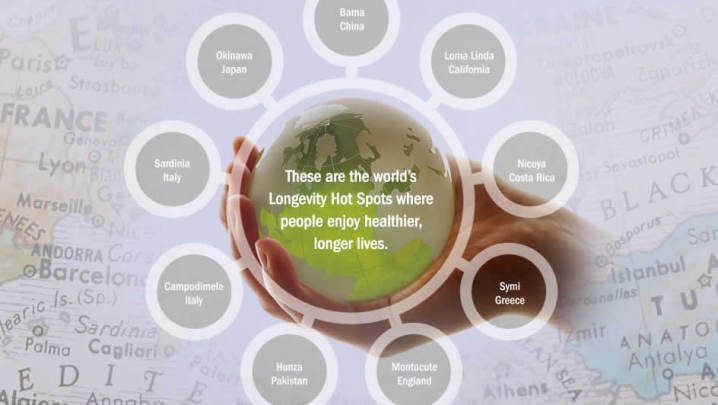 Representing the world’s Longevity Hot Spots, this infographic identified the nine places where people enjoy healthier, longer lives.